Őcsény residents would be glad if media attention on their town decreased and if resigned mayor János Fülöp would return to the mayor’s seat, abcug.hu reports. Woman: You shouldn’t ask Őcsény residents on the street. Instead, you should look for the third party. There’s always a third party in every conflict. I’m a Scientologist as well, you can go to the webpage, it’s there. Every conflict is provoked by a third party. Abcug.hu: And who is the third party in this case? Woman: I don’t know. Now, this is a nice task for reporters. Find them! Woman: He is a too remote a third party, there could be local and national third parties. A local school teacher provided this possible explanation for the recent events in Őcsény where, after residents threatened the life and damaged the property of a local guesthouse owner who planned to host a few refugee families, Mayor János Fülöp quit as mayor after 11 years. “They wanted to see how we would react and now they can show off that indeed, people hate migrants. Instead of a 2,500-resident village, the country and the EU should deal with this topic,” a middle-aged man said of the incident. By-elections will be held in the Tolna county village in December, but the possible contenders for the mayoral position are still unknown. The vice-mayor, who is considered to be the biggest opponent of Fülöp, has not disclosed her plans, while the runner-up in the 2014 election is considering re-running. Some residents are considering the Szekszárd-based entrepreneur Lajos Fajszi, who was allegedly involved in the famous tobacco shop corruption scandal, as a possible candidate. 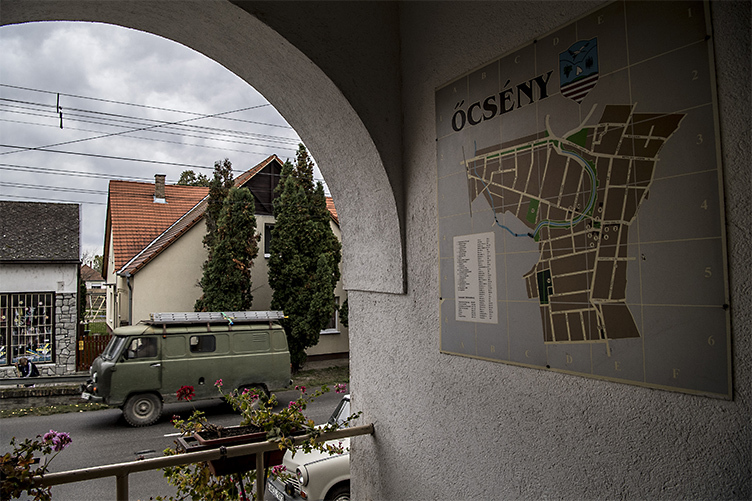 “At least people learned how to pronounce the name of the village right,” said Őcsény council representative Erzsébet Scultéty, who thinks that this is the only advantage of the increased media attention in recent days. Scultéty belongs to the minority of council members who voted to dismiss the general assembly altogether. She argues that had the council dismissed itself, mayor Fülöp would not have hesitated to re-run in the by-election. According to Scultéty, during Fülöp’s leadership, the council built new roads, took back the local airstrip and renovated the school and the so-called Creative house. “A few things started to go forward, this was not typical of the village earlier,” she said. “He is a very good financial professional, I could say he is a sharp-witted individual,” Scultéty praised the resigned mayor. “We would need him again,” a local man with two cans of beer in his hand said of Fülöp. “He is a good mayor, he finds applications.” Residents of Őcsény are so determined to tempt Fülöp to re-run that they put up a petition form in the local shop demanding the dismissal of the general assembly. Indeed, Fülöp’s popularity among Őcsény residents is obvious based on his election results. In 2014 he received 70 percent of all votes. In 2010, 90 percent. “People of Őcsény will experience that one can lead a settlement like this and like that,” Fülöp told an abcug.hu reporter on the phone, refusing to give a longer interview in person. The resigned mayor confirmed that people are continuously trying to convince him to re-run. However, even if he did, he would still have to work with the same representatives who did not take his side when he tried to mediate at the village meeting that eventually escalated into a chaos of hateful hysteria. “What sense would it make then?” Fülöp asked. The former mayor is confident that there will be at least three or four candidates, but he has no idea who. “Anybody would do it for money,” he said. “Those who sit in will sit into a good position.” Despite his conflict with the general assembly, Fülöp has not ruled out re-running yet. He told abcug.hu that he will make his final decision in a month. Vice-mayor Mrs. Zoltán Kozma, who organized the notorious village meeting that kicked off the controversy, and was also the biggest opponent of the general assembly’s self-dismissal, is little known in the village. “She holds her nose so high up in the air that in bad weather rain surely falls into her nose,” one resident described Mrs. Kozma, who has been on the council since 2014. Although abcug.hu attempted to contact Mrs. Kozma both in person and by telephone, the interim leader of Őcsény refused to talk to the press.